Looks absolutely delicious! 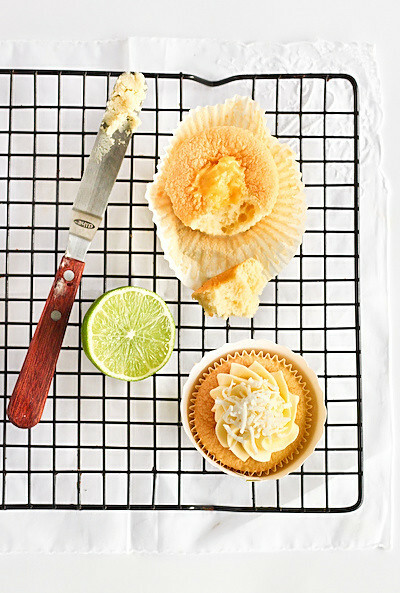 Love the mix of flavors: I always try lemon curd but next time, I'll definitely try your lime curd! your cupcake are so amazing!! 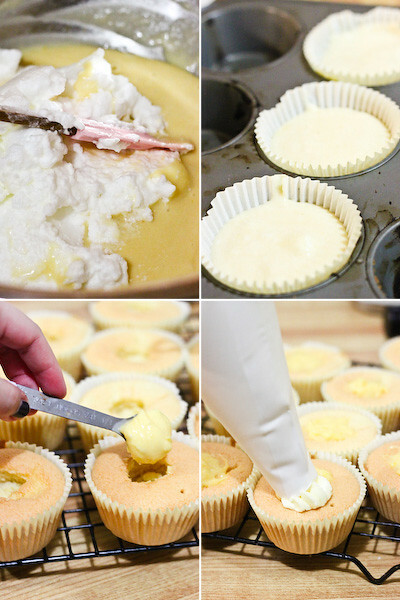 this is a great idea for baking during summer, no need to spend much time around the oven. Thank you for sharing, for sure I will try to make this for next week party. Steph, absolutely beautiful and I am sure delicious creation. 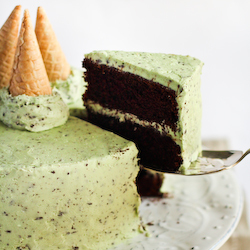 I only wish I can bake whenever I see pretty things like this. OOoh! Thanks for the recipe! I've been wondering what else I could do with the limes that I bought from the markets! 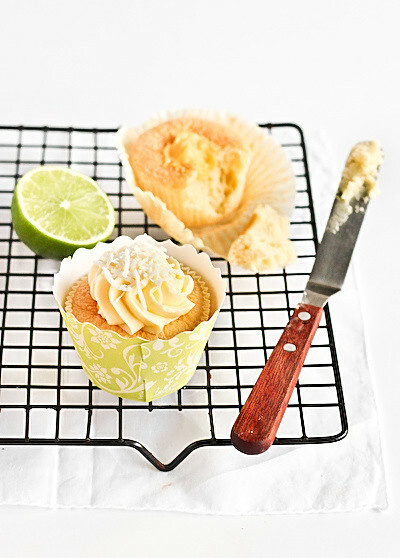 Love your blog, these cakes look fantastic in those wrappers. 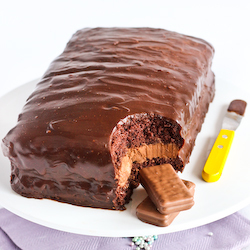 I'm going to attempt your Milo cake this weekend and then wait for my kids to give me a medal! 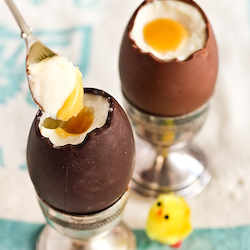 Oh yum - they look great! I made the cheesecake with the yoghurt on top last night and it totally killed it at mothers group this morning. Even the lady who doesn't eat cheesecake enjoyed it. Thanks dude! SIgh, these look like sunshine and summer... 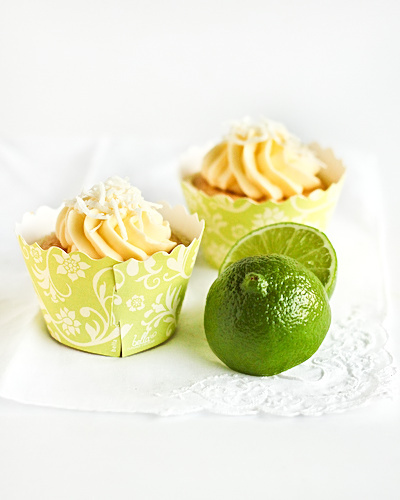 I absolutely love limes so I'm crying for one of these cupcakes. wow these look good. im drooling over here! The way you mix flavours is amazing, such an inspiration. Um hi, I'll be right over. Thanks. What a beautiful bite of summertime! I love the composition of your final photo as well. Yum! I told myself that I was not going to add anything else to the 'Must Make' list this week. Just like when I saw the Popcorn Macarons! Plan B. Have to put these on the must make list. They look so fantastic. I love chiffon cakes - so light and airy, they always disappear into thin air around me. lol. These sound deliciously tropical. 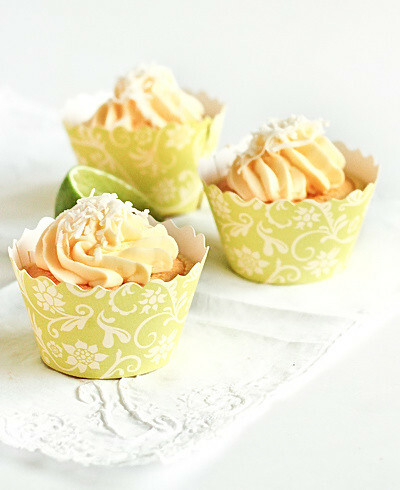 These are nothing short of gorgeous!Coconut and lime are just so delicious together. I love limes, and the thought of lime curd right now is making me drool--not to mention the effects of your great photography. Thanks for sharing! I love your photos the little cakes look so delicate and delicious! Bee | Rasa Malaysia - Thank you Bee! And I wish I could be as talented a cook as you! OohLookBel - Aren't the wrappers adorable? As soon as I spotted them on my shelf I knew these would be the best use for them! chocolatesuze - :D sunshine lollipops and rainbows everywhere! Red - Thanks so much! Hope you liked the milo cake! KitchenTherapy - Aww shucks! 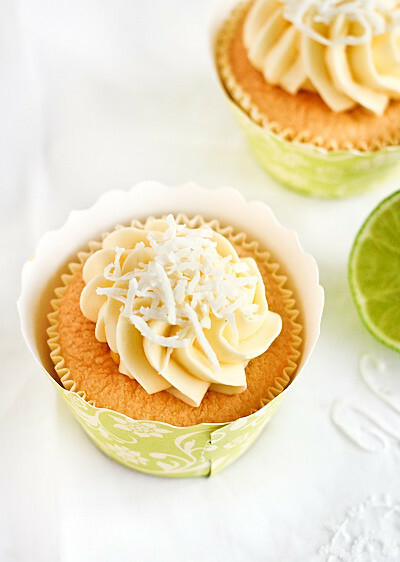 You can't go wrong with lime and coconut! Amy - Aww thanks so much! Eva - Thank you! 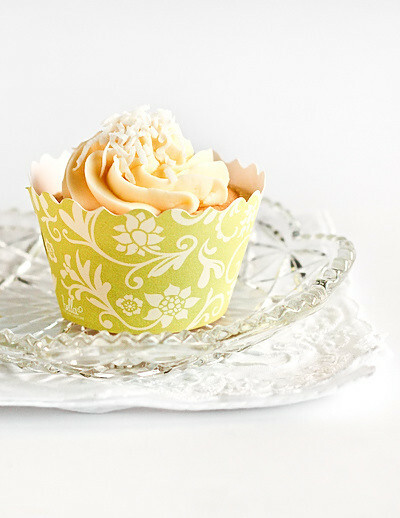 Cupcakes are one of my favourite things to photograph, they look good no matter what! kimberlycun - heehee you should make them! I Sing In The Kitchen - haha I do that all the time! I hope you do try them! Helen (Grab Your Fork) - Same here! 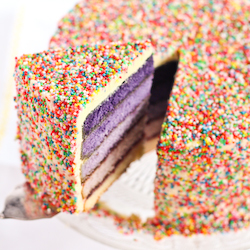 I don't know if I can appreciate regular cake as much anymore! Two fit and fun gals - Thank you! Rachelle - Lime curd is awesome! Aww thanks!! GourmetGetaways - Heehee :D thank you! Just made this yesterday for my cousins birthday, and it was absolutely delicious! ;D Everyone loved them and raved about them, they weren't too sweet and had just the right flavors. Obviously, they disappeared quite quickly, much to my dismay. But I'll probably make another batch of these later this week when I have time.